Chaparral Valley is one of Calgary’s most beautiful neighbourhoods. With an emphasis on natural beauty and environmental green space, Chaparral Valley combines the convenience of modern day living with an appreciation of the great outdoors. Much of the Bow River Valley lands surrounding Chaparral Valley homes are protected, preventing further development beyond the community. This ensures residents can thoroughly enjoy the pristine beauty of Chaparral Valley for years to come, and enjoy exclusive access to the Bow River Valley. Chaparral Valley also neighbours the Blue Devil Golf Club, a premium 18-hole course that was built to challenge and deceive even the most skilled of players. Learn about real estate options and amenities in Chaparral Valley below the following homes for sale! Whether you’re interested in spacious detached dwellings or stylish yet affordable townhouses, Chaparral Valley houses can accommodate your needs. Planned with the input of a select number of premium builders, a variety of attractive homes have been built in Chaparral Valley to suit a range of family types. Situated between MacLeod Trail and Deerfoot Trail, Chaparral Valley homes have easy and convenient access to all of Calgary’s fantastic destinations. The region offers a simple commute to downtown, as well as dozens of other nearby communities and amenities. Overall, life in Chaparral Valley has a very peaceful flow to it, allowing homeowners to indulge in serene living. Chaparral Valley is one of many fabulous master-planned communities built by Genstar in the southern portion of Calgary. If you’re interested in Chaparral Valley homes, be sure to explore Evergreen and Walden as well. 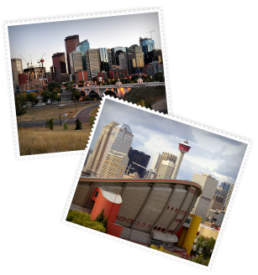 The Calgary Real Estate Advantage team is your connection to fantastic real estate in Chaparral Valley and beyond. Contact us today to find your dream home!